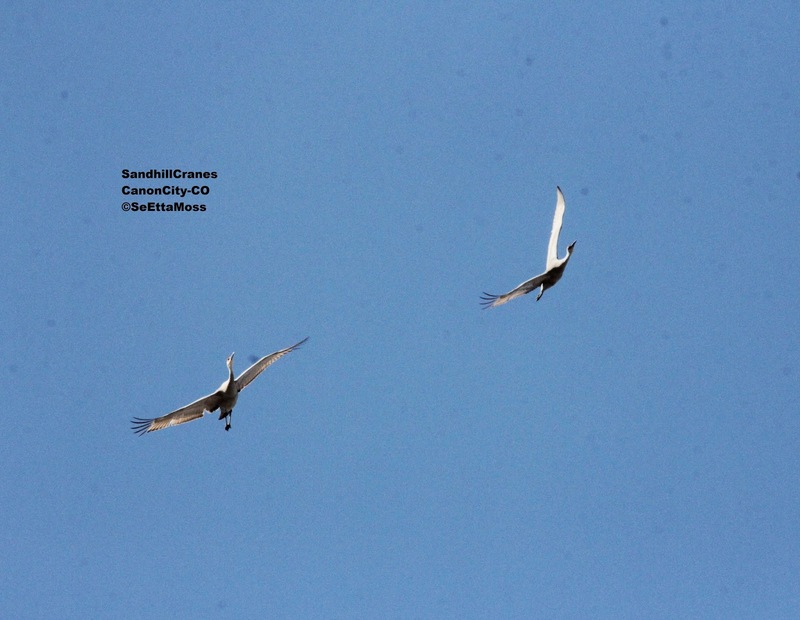 I first found these cranes on March 10 (first day birding for several days as I had been out of town) and I watched them take off yesterday and gaining a lot of altitude to apparently provide the winds at higher altitude to continue their migration. I found this brushfoot butterfly yesterday on a dirt road next to some riparian forest in Canon City,CO. 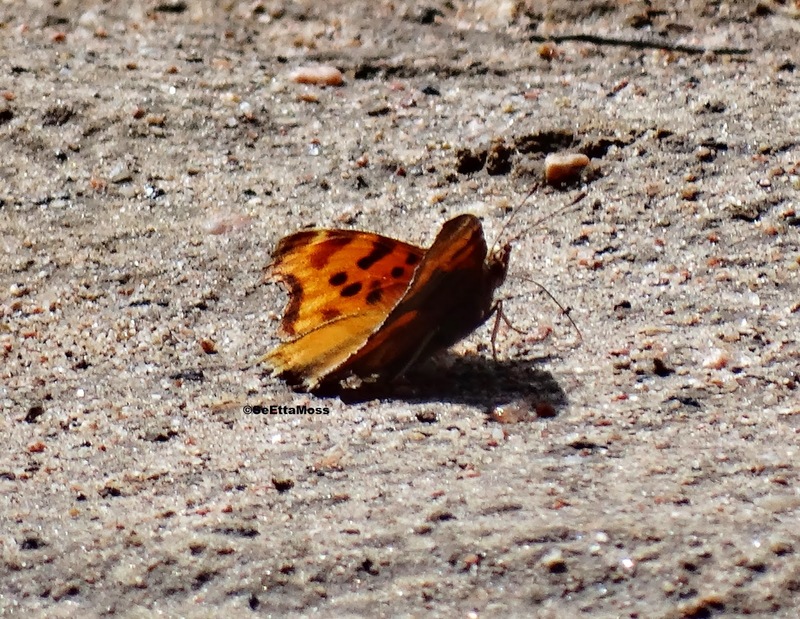 So far two knowledgeable Colorado butterflyers have differing identifications of either a Satyr or a Hoary Comma butterfly. 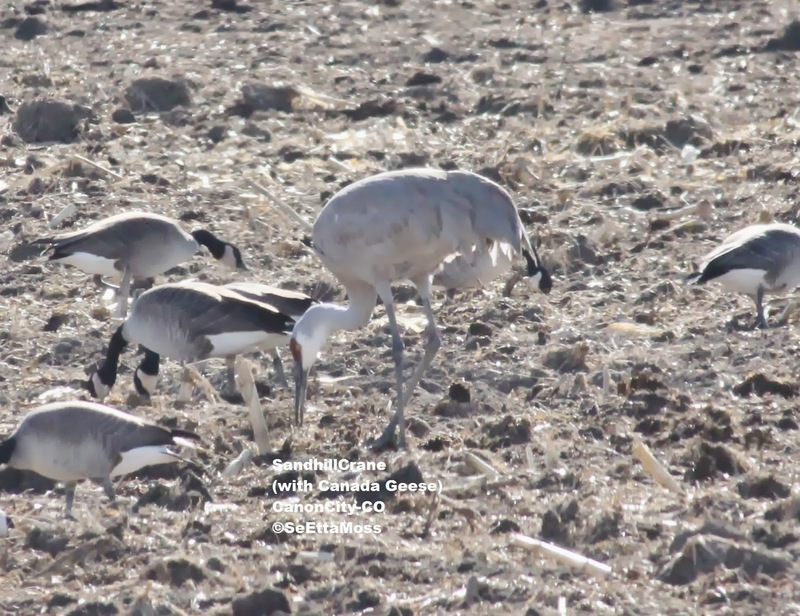 I spotted 4 Sandhill Cranes foraging in an agricultural field on the east side of Canon City today. Migrating Sandhill Cranes fly over this area and can be heard during both spring and fall migrations with their distinctive calls. Small family groups usually stop-over to feed though generally I have only seen them in less public (and thus less disturbed by people) fields in the area. 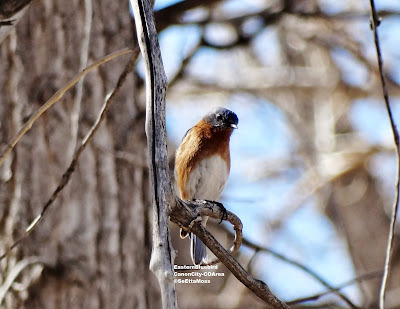 These were feeding alongside a number of Canada Geese and 2 Snow Geese (that are vagrant to this area) in a field where manure was spread last week likely providing lots of insects plus some grain for a good crane feed. 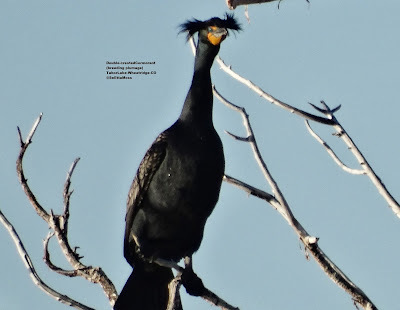 Now that breeding season is upon us I think that Double-crested Cormorants are such funny looking birds with their feathers sticking out both sides of their heads reminds me of the member of the 3 Stooges called Larry.